Please check with the librarians for assistance. Encyclopedia Britannica is a trustworthy, timely reference source, accessible from all devices. Select "High School" to access age-appropriate journal articles, media and primary sources. Bienvenido a Brittanica Escolar, un recurso informativo para la educación primaria y secundaria que es seguro, actualizado y apropiado para cada nivel ecucativo. Gale Cengage Learning includes Academic OneFile, a premier source for articles with extensive coverage of the physical sciences, technology, medicine, social sciences, the arts, theology and literature. JSTOR maintains over a thousand academic journals and over a million images, letters, and other primary sources, and is a trusted source for academic content. ProQuest e-library is a full-text, all curriculum multimedia resource. 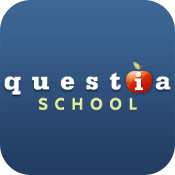 Questia is the world's largest online library of books, journals and magazines. See the librarian for your Username and Password. World Book Online offers a perfect reference tool for high school homework help and research projects. This powerful online platform integrates reference articles, eBooks, primary sources, journal articles, and audio and visual databases in a single search. Noodletools provides research process support and bibliographic formatting. Create your own Personal ID. Subscription must be reactivated each year on a library computer, or contact the library staff to reactivate at home. Gale Cengage Learning includes Business & Co. ASAP and Business & Co. Resource Center. Hoovers maintains a database of 12 million companies. Limited remote access. Financial Literacy (Rosen) is a personal finance resource for teens. Economic and personal finance made easy. Includes videos, financial tools and interactive calculator for real-world practice in financial situations. SAGE Business Researcher delivers in-depth, curriculum-oriented issues to launch inquiry into how news and world events impact topics in business and management. SAGE Business Stats features statistical data series created from more than 200,000 government and non-government datasets, covering popular topics of research interest in the U.S.
CQ Researcher reports and analyzes issues in the news as well as Supreme Court decisions. EBSCO include ABC-CLIO Issues: Understanding Controversy and Society. GaleCengage Learning includes Global Issues in Context, which offers international viewpoints on a broad spectrum of global issues, topics, and current events. Issues & Controversies provides an analysis of current topics in the news. World News Digest is a go-to resource for context and background on key issues of both historical events and breaking news. Offers 300,000 original articles and a vast archive covering every major event since its inception, as well as concise summaries of current events and clearly written essays on the top issues of the day. Bloom's Literary Reference Online examines great writers and important works in world literature. EBSCO contains MagillOn Literature Plus. Select "Research Databases" to access. GaleCengage Learning includes Gale Virtual Reference Library (GVRL) and Literature Critism Online. ProQuest Learning Literature which contains author biographies, full-text literary works and criticism. Salem Literature contains the Critical Insight series, which features classic and current literary criticism of the world's most-studied literature. SPORTDiscus with Full Text is the world's most comprehensive source of full text for sports and sports medicine journals. Gale Cengage Learning includes Physical Therapy and Sports Medicine Collection. Offers online access to Salem Press' print health reference work Complementary and Alternative Medicine. Teen Health and Wellness contains information by teens, for teens, about current social, emotional and physical issues. Country Watch provides critical country-specific intelligence and data. CQ Encyclopedia of American Government (EAG) provides concise. up-to-date explanations to the who, how and why of U.S. government and democracy. Includes ABC-CLIO's World History and American History databases. To access, please click the EBSCO icon in Current Events above. Humanities E-book is an online collection of over 1,000 books of high quality in the field of humanities. Gale Cengage Learning includes World History Collection, which offers balanced coverage of events in world history and scholarly work in the field. Issues & Controversies in American History presents the pros and cons of our nations most debated events. ProQuest includes History Study Center, which covers history from the ancient to the modern world. Salem History offers insight into various American decades, defining documents in American history, and coverage of great events in world history. World Religions explores religion and spirituality in an objective manner, from the ceremonies of the first practitioners to the elaborate rituals of today. Discovery Eduction is a digital collection of media on-demand resources. EBSCO includes Art Full Text, a resource for art information featuring full-text articles from over 300 periodicals; and Art Museum Image Gallery, which offers thousands of high-quality art images and related multimedia. Gale Cengage Learning includes the Fine Arts and Music Collection, which provides a range of full-text articles from scholarly journals and magazines that support research in areas of drama, music, art history, filmmaking and more. Gale Science in Context includes information on hundreds of today's most significant science topics. ProQuest's e-Library Curriculum Edition offers a range of science resources. Salem Press offers reference information on coding, climate, and sustainability. Science AAAS is the world's leading journal of original scientific, medical and technical information online. ScienceDirect offers more than a quarter of the world's scientific, medical and technical information information online.